Kicking off the first post of 2018 with a book review! I was shocked at how few books I read last year! In 2018, my goal will be to read two books a month. I won't review them all, but I'll do my best to share some of my favourites with you. Just like with the reading, I let my writing fall by the wayside last year. Yes, it had a lot to do with the massive undertaking of recording a New CD, but there are always excuses not to write. My goal this year: one solo writing date each week. Generally in a cafe, and always with a big mug of foamy caffeine! 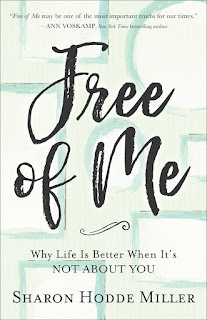 Today's book review is Free Of Me, by Sharon Hodde Miller. 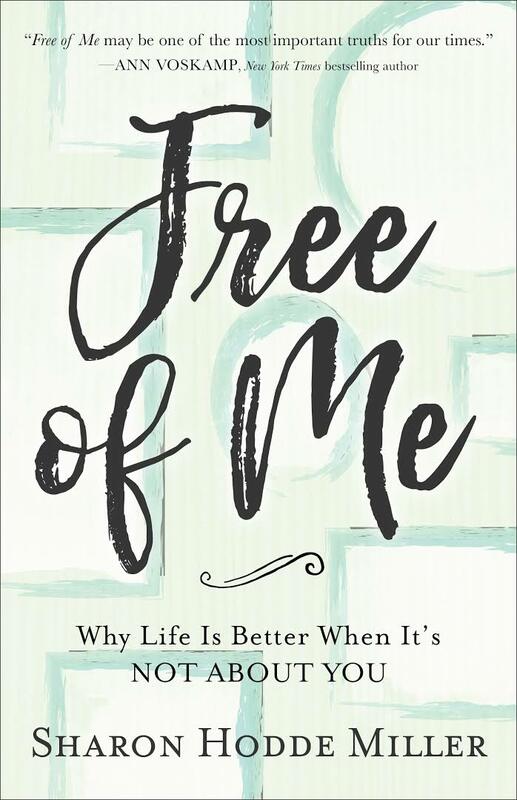 The premise of this book is pretty simply laid out in the subtitle: "Why Life Is Better When It's NOT ABOUT YOU." Like many simple ideas, however, the living out of this mantra is a more challenging matter. Miller breaks the concept down into two basic components. The first are all the things we try to make about us and in the image of us: God, church, our family, our friendships, to name a few. As she details each aspect, there will be things that will seem obvious - yes, we try to make our families about us - but others that will surprise you. How can we make our calling, our passions, or even our physical appearance not about us? There were definitely ideas in these chapters with which I didn't personally agree. However, I think just the process of evaluating these parts of your life in this light could be extremely valuable. The last part of the book explores practical ways to take the focus off of ourselves. How can we turn our point of view outwards, towards God and towards others? This is a great section to take notes and mark down ideas to integrate into your personal life. The structure of this book leans towards practical application, and maybe even group discussion. Each chapter ends with a focus Scripture verse, a prayer, and a series of personal questions. The prayers, in particular, are beautiful, and would be a great addition to your personal prayer journal. In a selfie-obsessed world, we need a message like Free Of Me. One of my favourite themes that runs throughout these chapters is the idea that "_____" is created for us, but that doesn't mean it has to be about us.